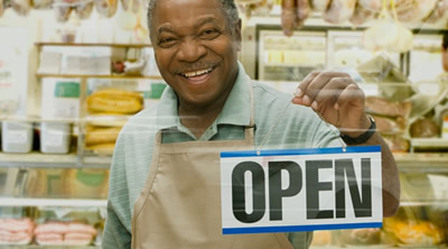 Get all your business insurance needs covered under one Business Owner's Package Insurance policy. We'll get your business covered in the most affordable way. What is a Business Owner's Package Insurance Policy? A business owner policy packages all required coverage a business owner would need. Often, BOPs will include business interruption insurance, property insurance, vehicle coverage, liability insurance, and crime insurance . Based on your company’s specific needs, you can alter what is included in a BOP. Typically, a business owner will save money by choosing a BOP because the bundle of services often costs less than the total cost of all the individual coverage’s. What's Covered with a Typical BOP Policy? Property insurance for buildings and contents owned by the company -- there are two different forms, standard and special, which provides more comprehensive coverage. Business interruption insurance, which covers the loss of income resulting from a fire or other catastrophe that disrupts the operation of the business. It can also include the extra expense of operating out of a temporary location. Liability protection, which covers your company's legal responsibility for the harm it may cause to others. This harm is a result of things that you and your employees do or fail to do in your business operations that may cause bodily injury or property damage due to defective products, faulty installations and errors in services provided. In most cases, BOPs do NOT cover professional liability, auto insurance, worker’s compensation or health and disability insurance. You'll need separate insurance policies to cover professional services, vehicles and your employees. Contact us to learn more about the right Business Owners' Package Policy for your business.